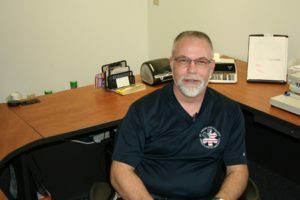 Kent has served the St. Francois County Ambulance District for 28 years. During this time, Kent has advanced his education to include the credentials of Registered Nurse and Critical Care Paramedic. Kent also leads St. Francois County’s Mobile Integrated Health (MIH) Team. Kent was selected as a Star of Life because his conduct and knowledge embody the gold standard of EMS. Each day, Kent gives 150% effort and attention to his patients and colleagues. Kent is a self-starter, a leader, and the living example of the EMS professional that you want to come to your house during an emergency or mobile integrated health call.